Hall of Famer Joe Cronin played 20 seasons in the big leagues at the shortstop position for Pittsburgh, Kansas City, Washington, and Boston. He finished with 2,285 hits and 118 triples and would also manage including as a player/manager from 1933-1945. He became the American League president in 1959, and held the position until 1979 when Cronin was made honorary league chairman. 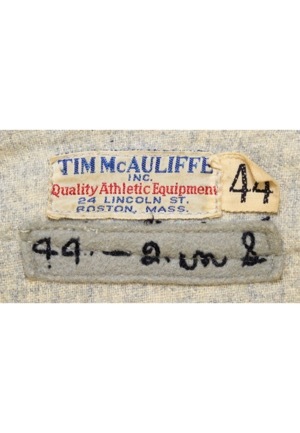 Inside the rear collar is the McAuliffe manufacturer’s tag with an attached flag tag reading the size “44”. Adjacent below is a grey strip tag reading “44 - 2 in S” which denotes sleeve length. The stars and stripes war patch which was worn from 1943-45 has been removed from the left sleeve with outline still faintly visible. 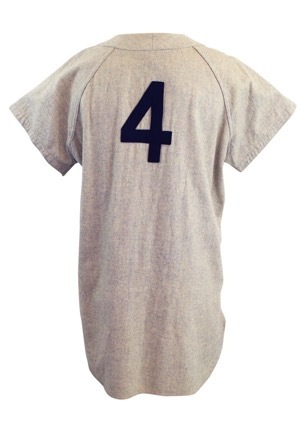 Across the chest reads “BOSTON” and on the back is the player number “4”. All numbering and lettering is done in navy blue felt. This jersey is properly tagged, was presented to us as game-used and in our opinion shows excellent use. 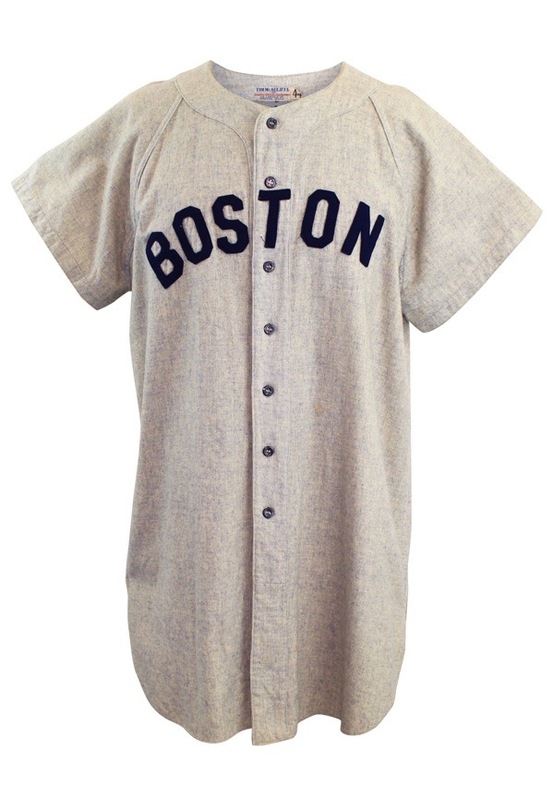 Accompanied by a consignor LOA detailing how they received the flannel jersey directly from Ted Williams and a Photo-Match.com LOA grading the jersey a perfect 10.